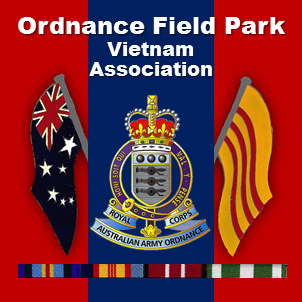 Memorabilia – Ordnance Field Park Vietnam Assn. As in all previous wars, and Vietnam was no exception, various items have been kept as mementoes or souvenirs of the soldier’s experiences. Cartoons reflected the mood or opinions of the population to major events happening at the time. A small selection of cartoons from the Vietnam War period are included to give a brief glimpse of what was happening to the Diggers at the time. The Unions were not popular with the troops and this is reflected in several cartoons. The National Service scheme was introduced by the Menzies Government in November 1964 and operated until 1972, when the newly elected Whitlam Labour Government suspended it. The scheme was based on a birthday ballot of twenty-year-old men who had registered their names with the Department of Labour and National Service (DLNS). If balloted in, these men were called up to perform two years’ continuous full-time service in the Regular Army Supplement, followed by three years’ part-time service in the Regular Army Reserve. Between 1964 and 1972, 804,286 twenty-year-olds registered for National Service and 63,735 were actually called up for National Service and served in the Army. Of the 63,735 who served in the Army, approximately 19,450 saw service in Vietnam and of this number, 98 served with the OFP. In the following pages you will see a series of letters which follows the call up to discharge of a National Serviceman. Cartoons are a reflection of opinions or events at a particular time in history. The following cartoons are from the Vietnam War period. The letter every twenty-year-old hoped would never come. Jan 1968 – Certificate awarded to Colin Cross for crossing the equator on HMAS “Sydney”. These rules were promulgated to every Australian serving in Vietnam, demonstrating the diplomatic significance for the Australian government. South Vietnamese currency (Dong) which was supposed to be used when making purchases from the local traders. This very rarely happened, as the traders would take the Military Payment Certificates (MPC), although this was not strictly legal. Lock up your daughters – the Yanks are coming! Newspaper clippings announcing the arrival of the first R&R flight to Australia on 4 October 1967. He’s coming home – be prepared. Vietnam veteran John Galpin, of Bellerive, with his well-travelled dog tag. A CHANCE find by a Victorian tourist in Vietnam has led to the return of an identity tag lost by a Tasmanian serviceman in 1969. About a month ago John Galpin received a letter forwarded to him via the Defence Forces home Loans Scheme. The letter was from Paul Serong of Tarrawingee, who had returned from Vietnam with the dog tag, one of two lost by Mr Galpin. “It was a complete surprise,” Mr Galpin, 46, of Bellerive, said. “I’d forgotten about it. “Dog tags were issued to all servicemen, and two had to be worn around the neck at all times. They listed surname, service number, blood group and religion. Mr Galpin, who grew up at Wynyard, was a corporal in the regular army. He served in Vietnam for 13 months from August 1969 until September 1970, in a specialist stores unit based at Nui-Dat. Now a storeman at Incat Tasmania in Hobart, he doesn’t know how he lost his tags, but he reported them missing and was issue dwith two more – which he has kept. Mr Serong came across the tag at Nui-Dat, where he gave a child 10c to have a look at it. The child ran off, leaving him with the tag. Christmas card from the President of the Republic of Vietnam.